To restrict unauthorized editing, copying, extraction and printing of Adobe Acrobat PDF files, its administrator set the document with Owner password. These set of permissions save PDF files from being used illicitly but what if the administrator himself fails to recall the password code that he applied on Adobe document. Under such situation, our technology-driven PDF Unlocker tool can proffer desired help in removing local permission from Adobe document. Our software to remove PDF change permission pass word is brilliantly engineered to facilitate users with the finest set up to print, copy & extract PDF file content with effectiveness. Users can free download PDF restriction remover that allows removing PDF permission password from selected document. Our PDF Unlocker tool is a prominent solution that enable users to remove local restrictions from Adobe document is catered with free trial edition. Costless version for software ability demonstration illustrates step by step functionality of the solution to crack owner password. With the facility of PDF Unlocker, users can execute PDF permission removal process but the restriction on testing edition will watermark the resultant with company's name. In order to remove PDF local restrictions without any limits, investment in complete version of the tool is necessary. Consider a Practical Scenario: Say you received a PDF file via email by a client. It is protected with owner password and you are unable to print its content. To unlock PDF print protection, you need a solution that could capably remove applied permissions on PDF file. 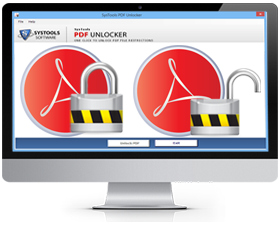 Our PDF Unlocker tool is designed to cater users with a simplified platform that eradicate master password security from Adobe documents.